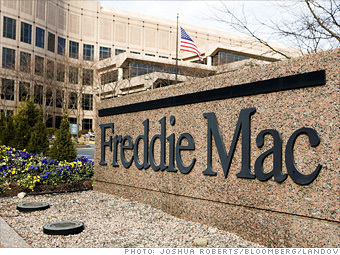 I have written about Freddie Mac (FRE) a few times recently after I purchased a small number of FRE shares in early July. The reason for making the purchase was that I thought the two companies, as government sponsored enterprises, are too big to fall. At one time, I thought I was wrong of owning the stock, though only 16 shares, when words first came out the companies may need to be bailed out by the government as losses from their mortgage portfolios mounted. The stock of Freddie dropped to all time low to below $3 in late August and I took my chance again, adding another 38 shares of FRE at $2.77 on August 22nd. Last Wednesday, September 3rd, I sold those 38 shares at $5.43/share, making nearly 100% profit from the trade. 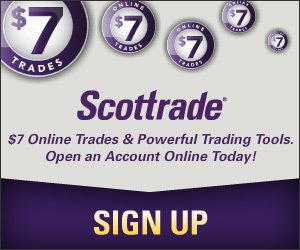 I am glad I got out (not entirely though because I still own 16 shares with Scottrade) before it’s too late. Though both companies didn’t exactly fall as we have seen happening on other private companies, the two’s existence as shareholder owned entities may be over for the foreseeable future. I was talking about how bad things can be. Now, we know the worst can indeed happen, even at companies this size. To rescue the two companies, taxpayers may have to take up to $200 billion. So hopefully, the money spent to bail them out means at least lower mortgage rates. The following is the timeline of Fannie and Freddie that I gathered from various sources (Wikipedia, Financial Times and Reuters). Not a very complete history, but shows what happened to these two companies. September 2008: Both Fannie Mae and Freddie Mac were taken over by the government and top management at both companies were dismissed.